Alan Knott-Craig Jnr says wireless spectrum is the "ultimate renewable resource" and he plans to give it to South Africans by 2020. Alan Knott-Craig Jnr has a lot of big plans for his new venture HeroTel, which he says is "going to be the Capitec of telecoms". Besides planning to give the whole country free WiFi by 2020, he says his new wireless Internet service provider (WISP) is filling an untapped market by prioritising rural areas first. "Everyone is fighting it out in the metros; we go where the money isn't. The opportunity is where the money isn't and that is where the need is, where people are feeling neglected. There is no ADSL in Pofadder, so you know that's where the opportunity is, that's where all the little WISPs are," according to Knott-Craig. Last month, Knott-Craig announced he would take on the WiFi space in South Africa in a big way by launching WISP HeroTel. He plans to consolidate the WISP industry and provide a single national wireless broadband provider which can unlock economies of scale. "WISPs are already making a profit; they have 28% average net profit margins. They are also all over the country; you don't have to reinvent the wheel, they are there, they are just uncoordinated," says Knott-Craig. The new company will only officially launch to customers in the new year but is already up and running in terms of bringing WISPs into the Hero fold. The strategy is to buy four or five WISPs outright and then expand reach by bringing more WISPs into the Hero Alliance on a franchise or partner basis. "Fundamentally, we can't get WISPs unless we are going to make them more money, in the short-term and the long-term. We can't make a promise and not keep that promise." Knott-Craig says HeroTel has, within seven months, more than tripled the profit of the first WISP it bought and doubled the profit of the second within three months. A third deal for a WISP just outside Pretoria has now been finalised. "Do we have to buy every WISP in South Africa? No." He says the company aims to use a strategy similar to financial services provider PSG Konsult. "They find a local financial advisor that then falls under the PSG Konsult brand. They benefit from the product, the national recognition and the credibility, and they pay a percentage of their top line revenue to PSG for that benefit. I think that's how HeroTel is going to work. "So you keep your local brand, you control your business, you control your destiny but you just have to follow a couple of guidelines otherwise you can't use our brand." We've got a strategy that by 2020 HeroTel will be able to give you a 10MB per second, uncapped, broadband link for free ? no strings attached. The WISPs already bought out are repackaged into a new company and the entrepreneur gets a big payday while being issued shares in the new business. "He has a stake, he gets a salary and he gets a dividend. So he is exactly where he was before but he's got a lot of cash in his bank and he is going to make more money going forward. So if we ever sell this thing, and we are going to sell this thing, he is going to be part of that payday." Knott-Craig says the response from WISPs so far has been positive and they are buying into the idea of joining because "they like the story, they want to be part of a bigger story, a bigger family, and we give them the story". He says that in South Africa, WISPs comprise about 20% of the fixed broadband market, and are growing fast but remain unsynchronised. "So if you take them and put them together, you can light a rocket and just take off." "A few people have tried to do what we do, and they have all failed. The reason they have failed is they don't understand the WISPs. A WISP is an entrepreneur. Entrepreneurs can't be told what to do. An entrepreneur has a baby and that baby is their business. I can relate." Knott-Craig's response to why HeroTel will not fail is simply: "We are not corporate, that's it. "Bankers want to own things. I don't want to be owned. You've got to approach these guys under the frame of partnership, not owning." 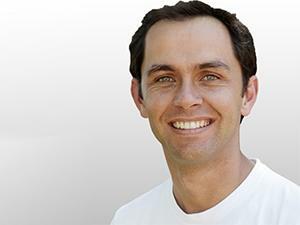 He has full confidence in HeroTel CEO Corne de Villiers, who he calls "a WISP's WISP". "Corne can't think of anything better than climbing a mast in a lightning storm and fixing your broadband. He's the guy, he's the dealmaker so he goes and gets the WISPs." He says the HeroTel plan is to make money for WISPs while bringing down prices and increasing speeds for consumers. "Consumers don't really care about specs. As a consumer I'm only really interested in what speed I'm getting and what I'm paying for it, and I don't want bill shock, I want uncapped. This is just a fact." If you can build a business that can make a shitload of profit while giving people free uncapped broadband, you can take over the world. He knows a lot of Internet providers do not like the idea of uncapped. He has even previously gone on the record saying he thinks uncapped is unviable. "But it's what consumers want and you have to figure out a way to give consumers what they want. There is no way you can immediately give away free uncapped broadband, but that is the dream. When asked whether this is really viable for HeroTel, he says it is "but if I tell you how I'll have to kill you". "We've got a strategy that by 2020, HeroTel will be able to give you a 10MB per second, uncapped, broadband link for free ? no strings attached." This is the dream for Knott-Craig and he says if HeroTel can't do it, then it will not satisfy his need as a leader. "I'm not saying we will go out of business [if we can't achieve this]; we will probably be making a lot of money but it's not satisfying my need. If you can build a business that can make a shitload of profit while giving people free uncapped broadband, you can take over the world. And that is where we are going to go. "I like this business because you can make a shitload of money and you can help people at the same time. That's all I want, especially now that I have children. I want to help people, I want to make a positive contribution to my country. I don't want to take gold out of the ground and leave a hole and export [the gold]. "How can you help people more powerfully than using wireless spectrum and turning it into something that adds so much value to my life? I mean, it's the ultimate renewable resource." He has full confidence in HeroTel's success going forward: "One day people will say Capitec is the HeroTel of banking."